Areteworks created an innovative and ground-breaking UI for DermSpectra, performing extensive empathy research to innovate and understand user needs, workflows and their key pain points. 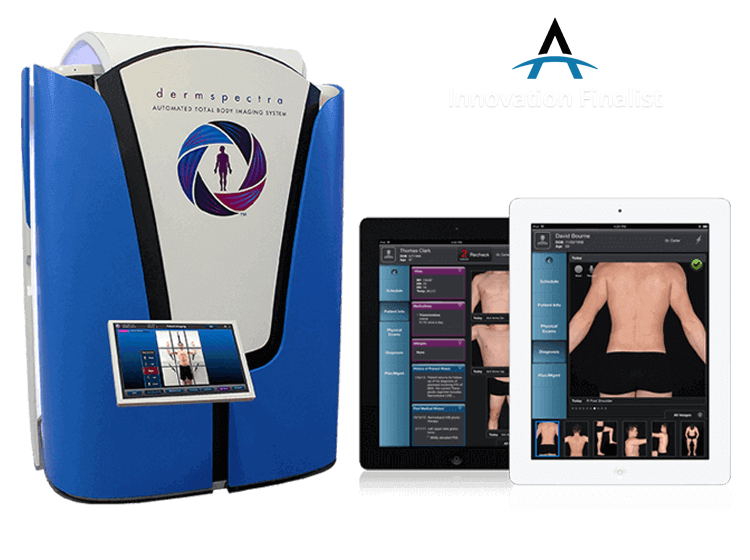 DermSpectra is an innovator/disrupter in the field of total body digital medical imaging for medical practices and clinical trials. 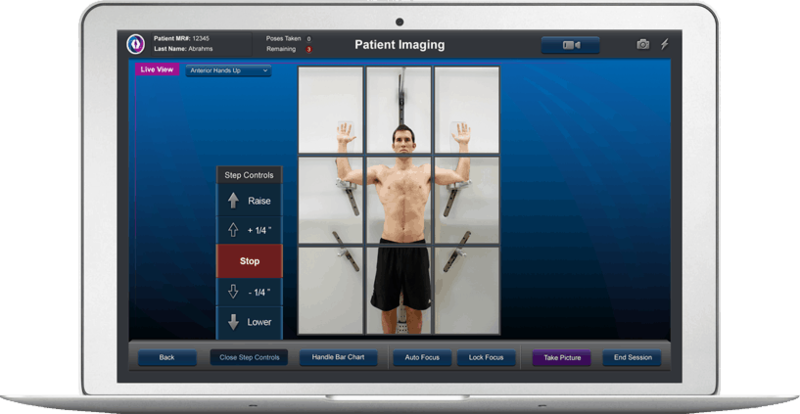 Their Total Body Imaging System streamlined the way general practitioners, dermatologists, medical researchers and plastic surgeons visually capture and compare skin irregularities and provides accurate data in real time. DermSpectra’s advanced medical technology enables physicians to detect, track, and monitor critical skin changes (skin cancers, eczema, moles, psoriasis, etc.) to ensure the best healthcare outcome for patients. Areteworks’ challenge was how to capture, organize and provide autonomous markings, calculations and notifications based on patients’ current versus past imaging. It was imperative for dermatologists to be able to attach notations on lesions and compare them with previous images along with assigning diagnosis and treatments. Areteworks was pivotal in creating an innovative and ground-breaking UI for dermatologists. By performing extensive empathy (User Needs) research, we were able to innovate by understanding user needs, workflows and their key pain points. We introduced the ability for dermatologists to work either on their laptop, iPads or on mobile devices. 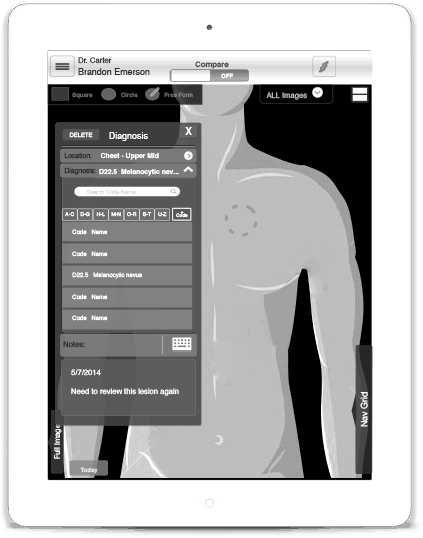 Patients and physicians could digitally mark, compare and annotate lesions, and communicate between each other. Areteworks communicated extremely well in all phases of the project.